Search Engine Optimization (SEO) is the driving force behind whether people see your brand, and what they see. SEO is your online lifeblood and the sole reason many startups fail or succeed; while established brands can see substantial growth with effective SEO. The content and structure of your site determine how search engines like Google rank it for specific search terms. This includes written content, pictures, video, links, and the overall organization of your site. Think of on-page SEO as the mechanical parts of your website, a look “under the hood.” This includes everything from metadata and page titles to links and site structure. And quality SEO does not sacrifice good content for a quick spike in search engine rankings—it should work fluidly with wonderful content to produce evergreen results. With proper search engine optimization, anything impeding your site from being the best version of itself will be resolved, and notices like this in a site audit will be a thing of the past. Who’s linking to your site? While great content is it’s own reward (that’s why we do on-site), but sticky, magnetically popular and relevant links pointing towards your website matter a whole lot too. Off-page SEO goes does more than direct traffic your way, it builds esteem and trust around your site. The more quality sites linking to your site, the higher it climbs on the charts. Off-page SEO is not only about link building, but building the authority of your website and your entire brand. Off-page SEO is often treated like a factory-line process, even by major agencies. The results can be damaging, even to the best brands. That’s why we only work with relevant sources, paired with high-ranking, reputable sites. We build partnerships that build brands. Natural link building is a part of a greater content strategy, and will help increase trust to your domain. People listen to influencers – high quality and relevant links work in a similar fashion for search engines. SEO is not a quick fix; it requires a well-thought, long-term strategy. Luckily, that’s our specialty. We will work with your business and its needs to create an on-page and off-page strategy that won’t just produce a temporary spike in traffic, but a long-lasting solution to help your business soar. Know the “why” before you spend time and resources on the “what.” Planning proper keyword research to drive traffic to your website is like a game of chess, and you can’t win without carefully planning the right moves. Keywords are a game of “choose your battles.” A locally-owned smartphone repair shop would love to rank for the search terms “iPhone” and “Android,” but that just isn’t realistic. And while those two examples are obvious, most require more time and research to discover. 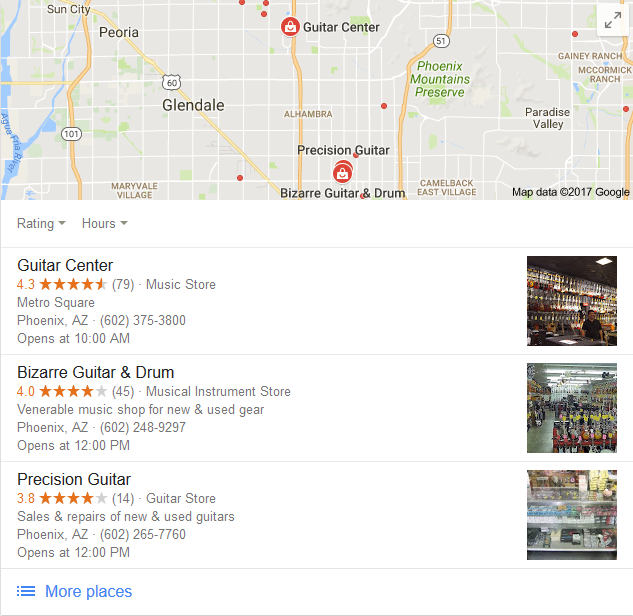 That same shop, however, could rank for search terms like “Android repair in Phoenix” or “iPhone repair in Phoenix.” That’s what good keyword research uncovers—what competitors rank for, which keywords have opportunity, and which terms can help grow your business. Trends and search behavior changes with time and technology. In the past, it wouldn’t have been strange to see keywords that didn’t make much sense contextually on pages. This is because of the way people type to search things. 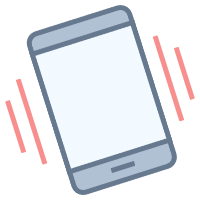 With the prevalence of smartphones and voice-to-text, optimizing for voice and local search is becoming more important by the day. So while your business may have amazing and useful content, it may not be ranking for what you want it to. That’s where Donovic Media steps in. Our team will analyze your website and set goals for the most desired keywords. We research your audience and figure out what they’re searching. We look into your competitors to see how they rank for specific keywords. Our multi-pronged approach combines tools and expert analysis to review and execute the best keyword plays for your brand. We use the best tools to expand your list of opportunistic keywords (and thus make your content strategy more robust). We have tools that allow us to look at term frequency on content and stack it up to your competitors. This could be an opportunity to add those finishing touches or keywords that can push you over the edge and on top! And finally, we review and execute. Not all links are created equal. In fact, some links pointing towards your site are doing more harm than good. A thorough backlink analysis will sniff out bad links and discover the good ones driving your search engine rankings, which leads to more traffic. Your backlink portfolio is the catalog of every link pointing to your website from the outside. Think of it like your website’s digital reputation. When a reputable website links to yours using a relevant keyword or your brand name, that boosts your reputation with search engines. When undesirable sites, like ones with adult content for example, link to yours it creates undesirable results. Most of the time, links like that come from aggressive attacks from shady competitors. Since you can’t prove who did it, all you can do is stay on top of it. But it can be a huge headache. Luckily, we can solve the problem. We use specialized software to discover the links, and we manually go over each site that’s pointing to your site. We discover the sites that just aren’t up to par, or are downright harmful, and separate them from the good sites. Then we compile a disavow file, which basically tells search engines we don’t want them pointing towards your website, and this removes the negative impact they once had. This is an example of a backlink summary. We look at the overall metrics in the summary first, then move on to the nitty gritty and examine all backlinks on a variety of factors to determine whether they help you or harm you. But it’s not just about removing bad links—a good backlink analysis can give us the information to learn from the good links so we can replicate their success to build a quality backlink portfolio. So don’t think of a backlink analysis as only finding the bad – we enjoy finding the good as well. Local SEO, adjusted just right, can be a budget-friendly way to elevate your brand. Location-based marketing, for local or national brands looking to test markets, are a crucial part of your grass-roots SEO footprint. From Google maps to Yelp, there is limitless opportunity to capture the ever-growing mobile market of potential customers in your area. A schema markup is code your website uses to help search engines deliver more useful information to the user on the other end. Think of them like an extended edition of rich snippets (the letters, symbols and numbers that appear below your site’s name on search engines). These little codes tell the internet where your visitors are coming from, and help funnel more toward you. A clever example of a schema tweak – for instrument lessons. A schema markup helps the search engine understand what the information means, not just what it says. For example, maybe you own a local deli with a menu on the front page. Schema markups can tell search engines that the “BLT” is a menu item and not just random text on the page. Schema markups help translate information that ranks well in local search. Menus, reviews, and events are all examples of local information a schema markup helps identify. The clearer that info is to the search engine, the more likely you are to rank for it in your area. Local search is much more than scheming on schema markups. Local SEO is making sure your content is geo-targeted for the areas you’re looking to target. Brands that have locations or concentrations of fans/users also need an evolving approach to local listing sites– Google My Business, Yelp, etc. It’s time to master your local search results. After a full website audit, we will identify opportunities to improve the schema/ rich snippets, as well as other geo-targeted and social tune-ups search engines use. We then get to work tweaking and targeting markups to display what matters most to your business. Whether it’s five-star reviews or the latest lunch menu, we’ll help make it front and center.